Amphetamine High - What is it like? What are the Dangers? Amphetamine High – What is it like? What are the Dangers? Amphetamines are stimulants and activate the central nervous system. They lead to different recreational effects. They include increased energy, reduced need to sleep, motivation and talkativeness. The effects vary from user to user. Of course, they will depend on personal differences and the qualities of the product. Many users report that they feel on top of the world when high on amphetamines. What are the negative sides of being high on amphetamines? Using amphetamines can result in severe side effects. Users report dizziness, tremors, body aches, mood swings, irritation, and depression. They relate some of the main risks to the mental state of the individual. Sometimes, paranoia, aggression, and risky behavior are common. Regular amphetamine abuse can lead to various health conditions. They are heart failure, addiction, and death. What is an Amphetamine High Like? “To do is to be” is one of the essential philosophical postulates. First, we can agree that being active, alert and productive is crucial for humanity. Then, we may wonder why we all are not on speed. An amphetamine high makes the user more talkative, energetic and awake. Doctors can prescribe some amphetamines for ADHD and narcolepsy. Some people call drugs like Adderall smart drugs. Sometimes, students use them to increase their performance and productivity. In addition, you can dance the night away. Then, you can spend days studying and training without getting tired. Finally, you can work for hours and hours. As a result, amphetamines are highly popular. College students, rave maniacs, athletes and truck drivers are regular customers. What are the Lows of an Amphetamine High? Often, users suffer from depression and suicidal thoughts. This is because the comedown makes people feel very low, exhausted or restless. There’s another phenomenon that troubles users. Sometimes, people will say that they have a lot of energy. However, they don’t know what to do with it and how to use it well. What are the Dangers of Getting an Amphetamine High? Regular use of amphetamines can transform you into a speed freak. Some of the visible singns are weight loss, sleeping problems, and the grinding of the teeth. Other signs are poor hygiene, tremors, paranoia, aggression, and tension. Sometimes, people may get sick easily because of their reduced immunity. Also, people on amphetamines may have a high libido. However, they often experience problems in performing. Male users report not having an erection for days. Amphetamine abuse can lead to addiction and health problems. For example, they can be kidney failure and heart attack. Some people may believe that amphetamines improve the mental performance and speech. However, they lead to severe psychological changes. Having regular episodes of an Amphetamine high results in low cognitive processing. In addition, a lack of sleep will make it worse. As we know, sleep is crucial for learning and memory. Also, while amphetamines speed up one’s speech. As a result, they can lead to low accuracy, which affects normal social interactions. Actually, people on speed can become very annoying. There’s another phenomenon caused by the long-term abuse of amphetamines. It is amphetamine psychosis. People become weird, aggressive and dangerous. In addition, they often experience hallucinations, paranoia, and delusions. Overdosing on amphetamines, can lead to seizures, coma, and death. This happens especially when mixed with other drugs (including alcohol). Aggressive and risky behavior as a result of amphetamine high can be dangerous. In the end, it can cause harm to the people around the user. If you are regular visitors of the amphetamine high, remember that you can fall very low. 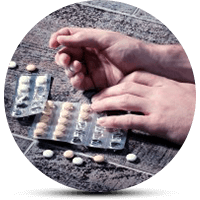 Addiction Resource » Addictive Substances: The Anatomy of Drug Addiction » Key Facts About Amphetamine Addiction: Signs, Effects, Statistics, and Treatment » Amphetamine High – What is it like? What are the Dangers?